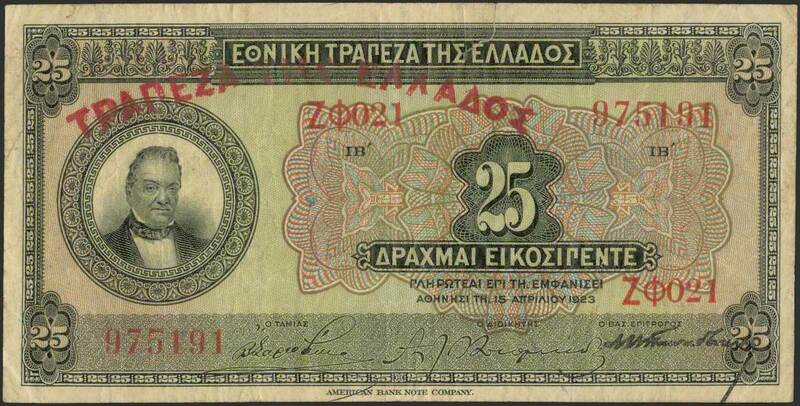 25 drx (ND 1928 - old date 15.4.1923) in black on green and multicolor unpt with "Portrait of G. Stavros" at left. Red ovpt "ΤΡΑΠΕΖΑ ΤΗΣ ΕΛΛΑΔΟΣ" (on Pick #74a). 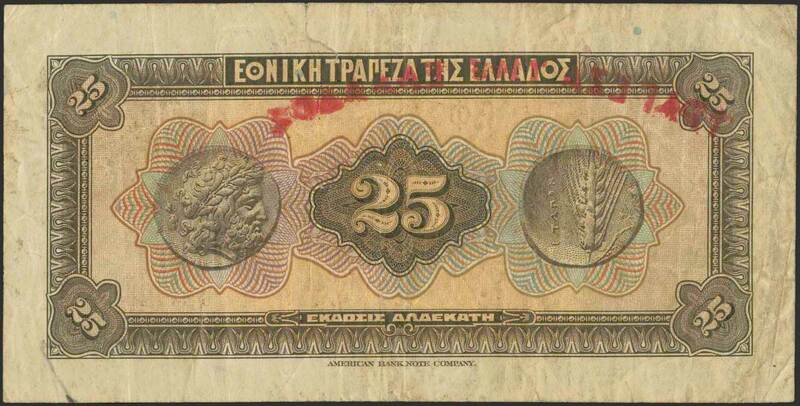 Serial no "ΖΦ021 975191". Creased, tear at upper center. (Pick 96a). Fine plus.